October is the month to think pink and this is a cause that hits close to home for me. One of my closet friends lost her mother last year due to this disease at a very early age. My God-Mother has been diagnosed with the disease multiple times and has been diagnosed once again, unable to travel to see my wedding . An old colleague of mine was diagnosed at 36 years old, luckily she caught it at stage one and is in remission. Until there is a cure, many lives will continue to be impacted every day by breast cancer. One in Eight women will be diagnosed with it in their lifetime. That statistic scares me beyond words. It is so important to get checked every year because it really doesn't matter if you are young or old, you are still at risk. Fellow Tampa blogger Stephanie (www.orangespoken.com) started a vegetable and fruit co-op, where bay area residents can purchase a basket of local fruits and veggies for $25. 30% of all proceeds benefit breast cancer awareness. I got a basket this week and was very impressed. I was able to donate to a cause I strongly support and skip my weekly produce shopping! 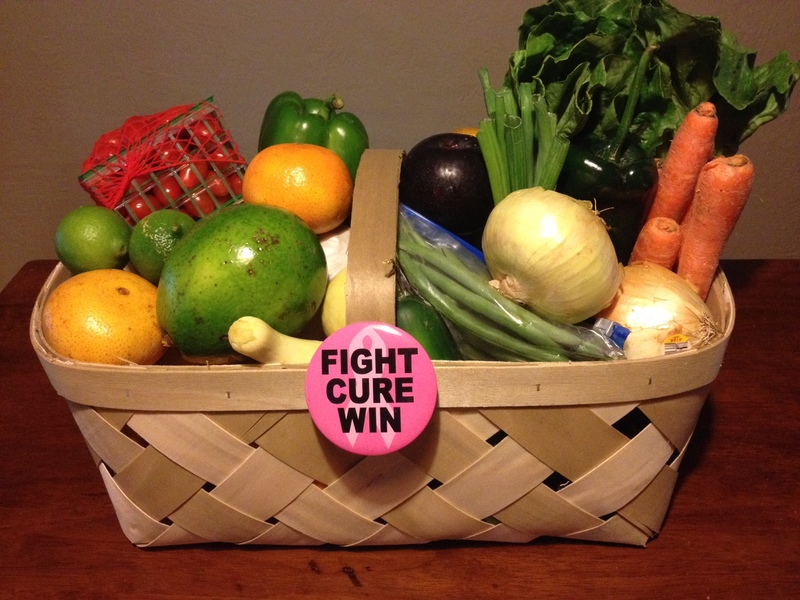 If you are interested in the October Co-Op For A Cure, send Stephanie an email at orangespoken@gmail.com. Next weekend is the final week and the slots fill up fast. 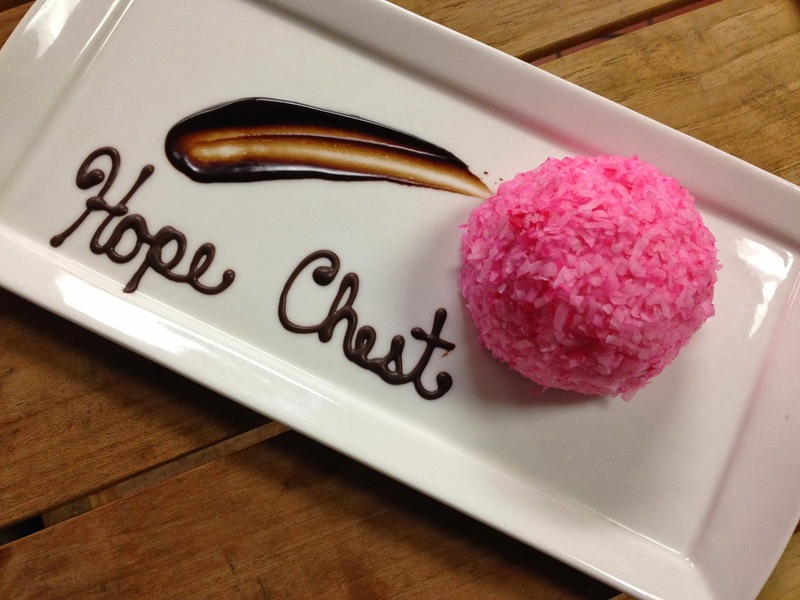 The Vinoy Renaissance Resort & Golf Club is embracing it's true colors by partnering with My Hope Chest, a non-profit organization that benefits those affected by breast cancer through reconstructive surgery. For the entire month of October, Marchand's Bar & Grill and the Promenade Lobby Bar are offering guests "Pink" specials with a Strawberry Fields cocktail and Pink Bomb dessert, compromised with coconut, marshmallow and chocolate. 10 percent of sales going to My Hope Chest. The Vinoy is selling bracelets for $20 and necklaces for $30 in the cafe - all proceeds benefit My Hope Chest. This is a really, really great post Megan. I'm glad you wrote it (and thank you). I definitely want (and need) to order that produce basket. We also need to get to Vinoy sooner than later.